A loan of $6,000 helped expand our product line, by producing an environmentally friendly meat-less chorizo to cater to a new clientele. Having lived in Mexico City for a couple of decades I discovered my passion for exotic mexican dishes like Chorizo Verde (green chorizo), Chochinita Pibil: a traditional Mexican slow-roasted pork dish from the Yucatán Peninsula of Mayan origin, Oaxaca Tamales, and Mixiotes: a pit-barbecued meat dish served in central Mexico. I migrated to the US in 1999, years later, I decided to make my own artisan Mexican Chorizo sausage. After the recipe met my standards, I decided to serve it to my friends. It was a huge success, that same night, a friend asked me if I had thought about selling Chorizo Verde, and that is where it all began. It gives a previously successful borrower a chance to expand their product line. Don Felipe Products is a family owned business that specializes in Artisan Mexican Chorizo since 2012. We only use quality locally sourced meats, spices, and natural preservatives such as Apple cider vinegar and salt. Our fresh Chorizo products are lean, free of fillers, nitrites, and MSG. Our staple product is the Chorizo Verde. The recipe is native to Toluca, Mexico, and it calls for Pumpkin seeds, Serrano Peppers, Spinach and a flavorful blend of ground spices, and it is made in Portland, Oregon. I wanted to bring the exotic taste of Mexico to the Pacific Northwest. Our very first batch of Artisan Chorizo Verde was made on a small scale in a tiny commercial kitchen in Forest Grove, Oregon with the aid and mentorship of Adelante Mujeres, a non-profit organization. Long nights in that small kitchen allowed us to bring two recipes to our first outlet at the Forest Grove Farmers market. Our Chorizo Verde soon captured the attention of many. Our second recipe, Chorizo Rojo being the more traditional, is made with local pork, crushed red pepper, cinnamon, and spices. In 2013 we quickly outgrew the commercial kitchen, and handed production off to a USDA inspected facility, allowing us to focus on sales and marketing. In 2014 we developed a third Chorizo recipe – Chicken Chorizo seasoned with Smokey Chipotle peppers and we are currently in the process of developing 2 more recipes. Our products can now be found on the shelves of 9 specialty stores, and on the menu of local recognized cafes, restaurants within the Portland Metro area, Washington, and seasonal Farmers Markets. The purpose of this loan is to to expand our product line, by producing an environmentally friendly meat-less chorizo to cater to a new clientele: The Vegan & Vegetarian community. The loan will also allow us to update and enhance our current labels used for our Rojo, Verde and Chicken chorizo from “1 Color” to “Full Color ” options for specialty food store distribution. Based on our research and analysis of our business, this would help increase brand awareness and build a stronger customers base. Why are you endorsing Salud & Angie? Adelante Mujeres has worked with Salud and his hard working family for the past 4 years. They graduated from our small business class back in 2014 and received small business coaching. 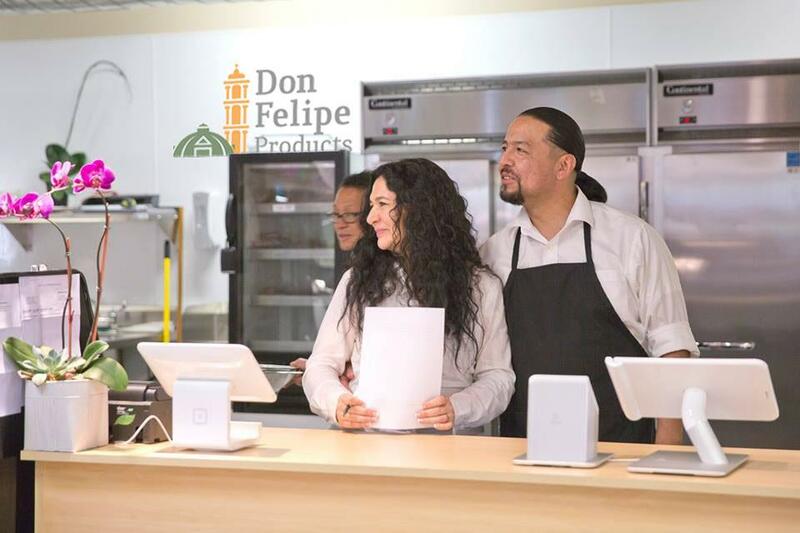 Their business, Don Felipe products, is incredible. They have been able to grow so much in such little time. Their products are in very popular restaurants, specialty stores and farmers market around the Portland area. Their business has potential to keep growing and we know this loan will take them a long way. We are very proud of what they have accomplished and can't wait to hear more success stories from them.